According to the Stork Cocktail Book, the Sherry Flip was regarded as a "conventional restorative during the placid hours when laundry is delivering the waiter's aprons and the day's beer is cooling in the coils". Following the notion of taking good design and making it better, we’ve injected this historical drink with a modern twist. 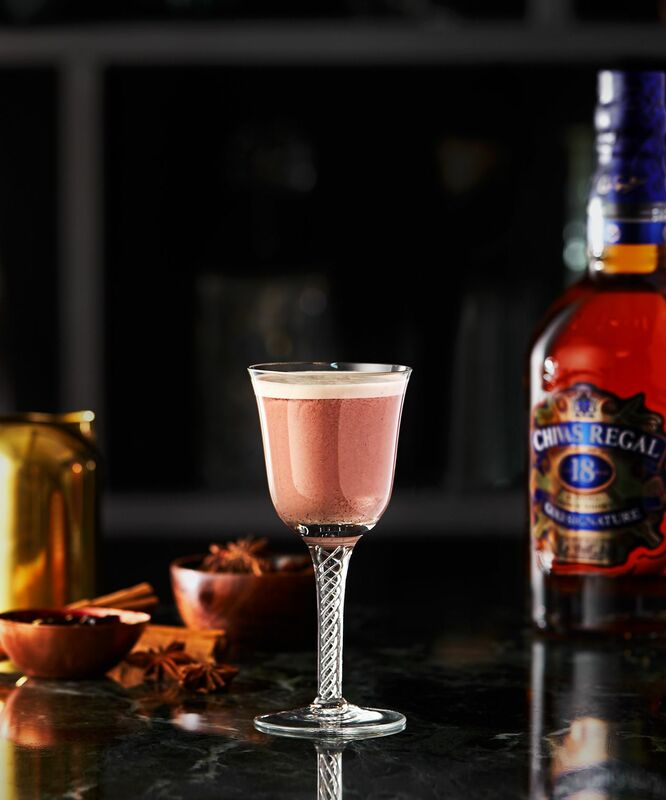 Chivas 18’s deep, rich qualities, complemented by sweet black cherry and chocolate overtones, resulting in a velvety, truly indulgent cocktail. To make your own honeyed spice syrup bring 200ml white sugar, 200ml water, 3 tsp honey, 0.5tsp ground cinnamon, three whole star anise and half a vanilla pod to the boil. Simmer for five minutes. Add all the ingredients into a dry cocktail shaker (no ice) and shake for 30 seconds. Fill the shaker with ice and shake for a further minute. Finally strain into a chilled cocktail glass. The Auld Alliance is our modern take on perhaps the oldest documented cocktail in America. 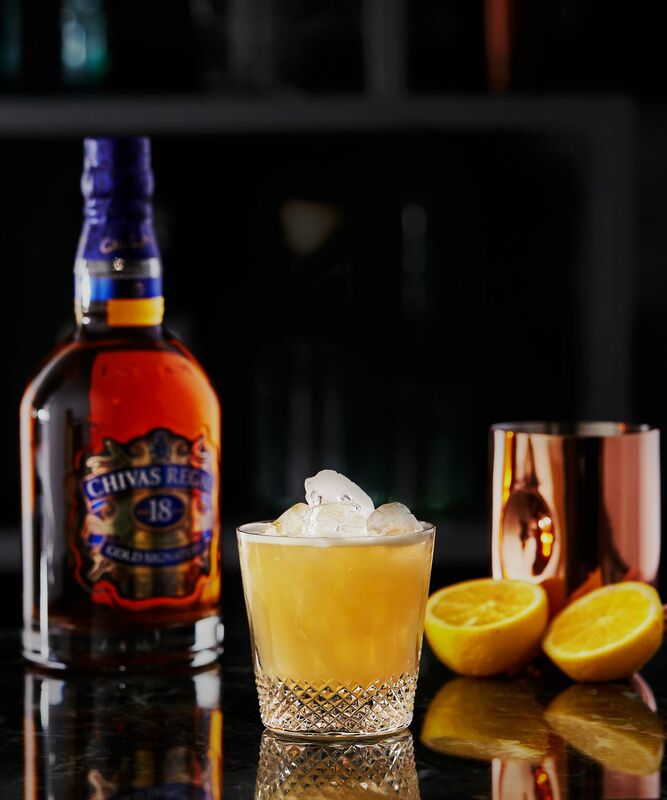 Here we offer a heady mix of Chivas 18 with cognac, the addition of which perfectly accentuates the taste of the whisky. Dash Fee Brothers' Old Fashioned Bitters. Pack an old-fashioned glass with crushed ice and leave to chill. 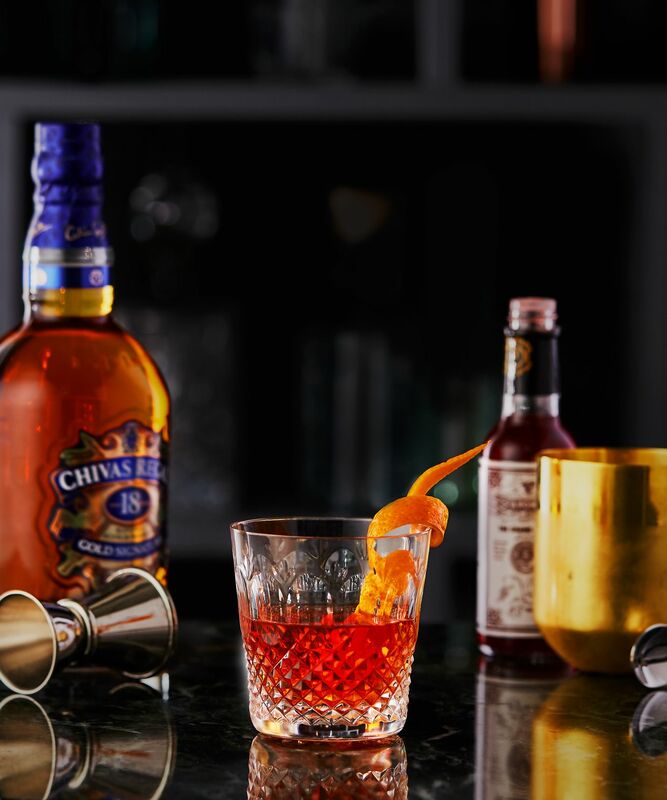 In a second glass stir the sugar syrup with the bitters, add the Chivas Regal 18 and Martell. Throw the ice away from glass one and swirl enough Absinthe round the insides to coat the glass. Pour the contents of glass two into glass one. Garnish with lemon and orange twists. Born in the late 1800s, the Sour was crafted to bridge the gap between older-style punches that were cumbersome and spirit heavy, and the increasingly popular cocktails that comprised increasingly more fancy liqueurs. It's all about the little details. Add Chivas Regal 18 into a shaker. Add egg white and shake. 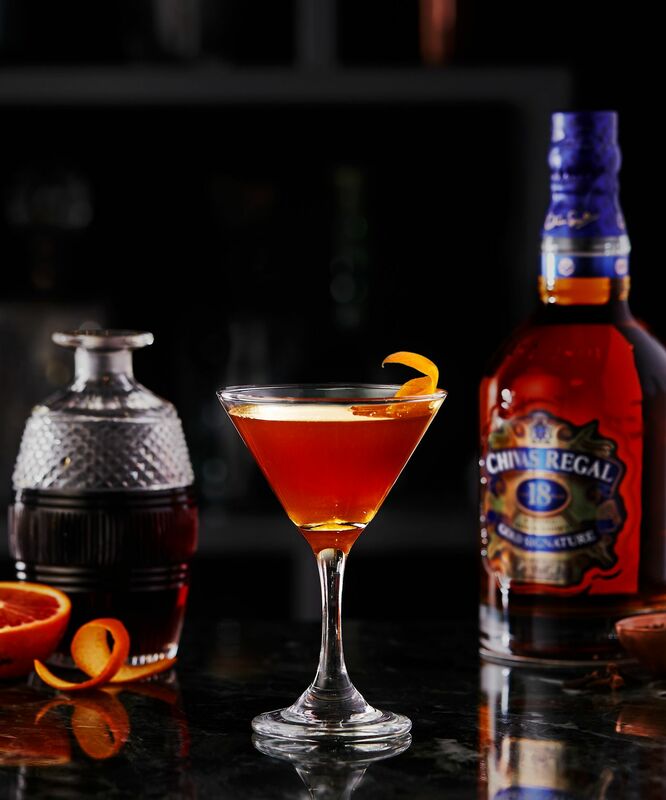 Rebellion has its roots planted in the well-established Rob Roy cocktail, which originated at The Waldorf Hotel in New York in 1894. Originally crafted to honour the opening night of an operetta of the same name, the recipe then spread, appearing in the 1930 edition of The Savoy Cocktail Book. Dash Fee Brothers' Aztec Chocolate Bitters. Start by crushing the cloves and pour them into the bottom of a tall Boston glass. Add all the remaining ingredients, plus ice, and stir for two minutes. Finally, strain the liquid into a chilled Martini glass and garnish with a blood orange twist.